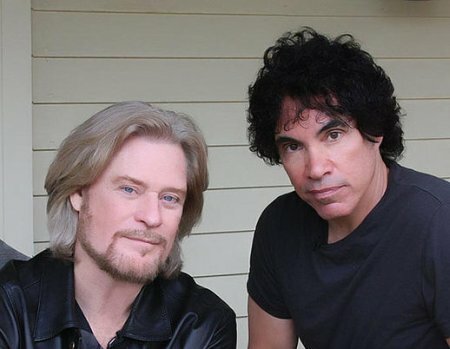 Daryl Hall and John Oates made their way to North Charleston, SC on Wednesday night at the North Charleston Performing Arts Center as part of the “Do What You Want, Be What You Are” Tour. They brought a high energy performance with a setlist filled with hits for the crowd’s deli ght. Early on, it appeared that Hall had trouble with his guitar, and he kept motioning over to the side of the stage at the guitar tech. He kept his composure, and the tech came out during a break and fixed Hall’s setup. Every time a massive radio hit would start to play, the whole audience would immediately stand and create an eruption. An unplanned and humorous moment happened when the cuff zipper of Hall’s jacket got caught on the low E string of his guitar. The same guitar tech immediately ran out and freed Hall. The longtime saxophone player Charles DeChant really made his presence known during “Maneater,” hitting every single note spot-on. DeChant then really had his chance to shine during “I Can’t Go For That,” where he had about a five minute sax solo. He slowly paced on the outer edge of the stage and then paced back all while soloing. They closed out the set and exited the stage, quickly to return for an encore. They came back out, and Hall made his way behind the keyboard and started up “Rich Girl” by saying, “Money, money, money,” while cash rained down on the video screen. They then played “You Make My Dreams Come True” to close out that encore. They again left the stage and came back for the second encore. Hall quickly mentioned that his hit web show “Live from Daryl’s House” was now appearing on the cable channel Palladia. The only negative of the show was the short setlist, knowing they had much more classic material to play. They proved they still have what it takes to get the crowds going. They still are a must see act since they perform a high energy show filled with the classics.